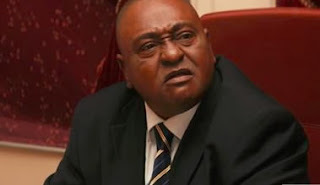 Veteran actor, Jide Kosoko, was one time suspected of being a ritualist by Kemi Olunloyo because he had lost three wives. In a new interview with Saturday Beats, Jide addressed Kemi's allegations saying she only spoke her mind and she had a right to air her opinion. He further said that it was a closed chapter because Kemi Olunloyo's father called him to apologise for his daughter’s utterance. She was voicing out, what about those that would not say anything but in their mind, they would say that I have lost about three wives? They are only being human but the truth is that for Olunloyo, that is her opinion no matter how hurt I might have been with her utterances. By my nature, there was nothing I could do. But I appreciate her father who called me and apologised. He said some other things that I may not be able to share with the public. “I did not pay her bride price and she stayed with me for 22 years, does that not mean that something is wrong somewhere? The burial ceremony plans did not change suddenly. The plan since the day she died was that she would be buried in her hometown. I told them that I wanted her to be buried in Lagos, it was a case of give and take and my family being a deeply cultured one said that we should give them an opportunity for them to bury her at home. You may not know, there may be someone in the family who may think there is a foul play and would want to do anything to confirm one or two things, so I could not really stop them. She belonged to all of us but more to me. I embrace peace and nothing happened at her hometown, it was a normal catholic burial,” he said. “Forget about what people said. My late wife was ill and she died of complications which arose from diabetes. My friends, family and colleagues stood by me and I appreciate it.